The Missouri Senate has endorsed Senate Bill 113 which changes some wording and provisions in the "Puppy Mill" law that was recently passed by Missouri voters. This new bill is aimed at softening some of the regulations that would drive costs up for breeders in the state of Missouri. Many contend that the law as passed by voters in November would put many breeders out of business in Missouri. 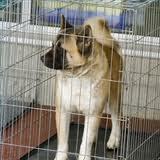 Many would say one of the serious problems with this law limited the number of dogs at a breeding facility to 50. Seems like an arbitrarily low number to me - if dogs are cared for properly, what difference does it make how many are there? It takes aim at "big" operations, as if there is something inherently wrong about a large facility. Other issues addressed in the new law include defining what constitutes "adequate" shelter, exercise, food and water, and medical care. A veterinarian would still have to see the animals at least yearly, but any treatment or euthanasia would not have to be performed by a vet. A dog no linger would have to have constant access to an exercise area, but instead consistant with the regulations of the Department of Agriculture. The Food and water language was changed to something similar. In general, some very specific measurements and time intervals were changed to generalities. Another important criticism of the bill is also being changed. Language in the original law stated "domestic animal" and will be changed to dog. Some opponents of the law stated that it could be applied to many more animals than dogs. This was a really confusing bill, even for moderately intelligent people. I think that most people never really fully understood it. Hopefully the dogs will be better off, that's the important thing.